Let's devote the first edition of 2019 to Innovation & Creativity. Among the insightful association management content that we've packed into this edition: Benita Lipps from Interel guides us through how to overcome barriers to innovation at associations; Learn about Jeffer London's conversation with Jeneva Patterson on how she engages people with creative challenges; What is the secret recipe of agile association business models? ; How do millennials consume content at a conference? 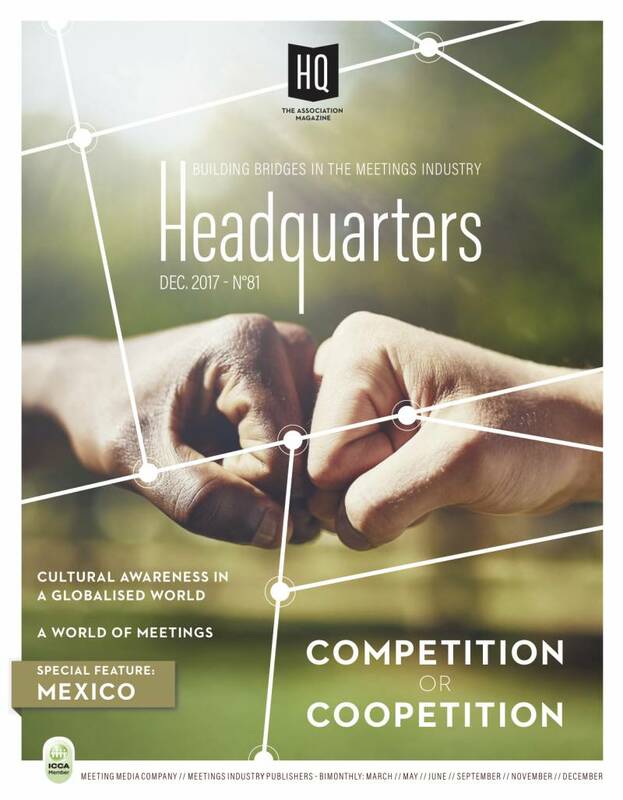 Find out from Aoife McCrum of Meetings & Millennials; Exclusive interview with CultureCatch on establishing cultural agility and intercultural competence. We begin this year by shining the spotlight on Africa - starting from our cover. For our regular association profile segment, we spoke to the African Women in Leadership Organisation (AWLO, a non-profit organisation in Lagos, Nigeria) on gender quality for African women. Find out the five reasons why Africa will dominate the MICE industry in 2019. 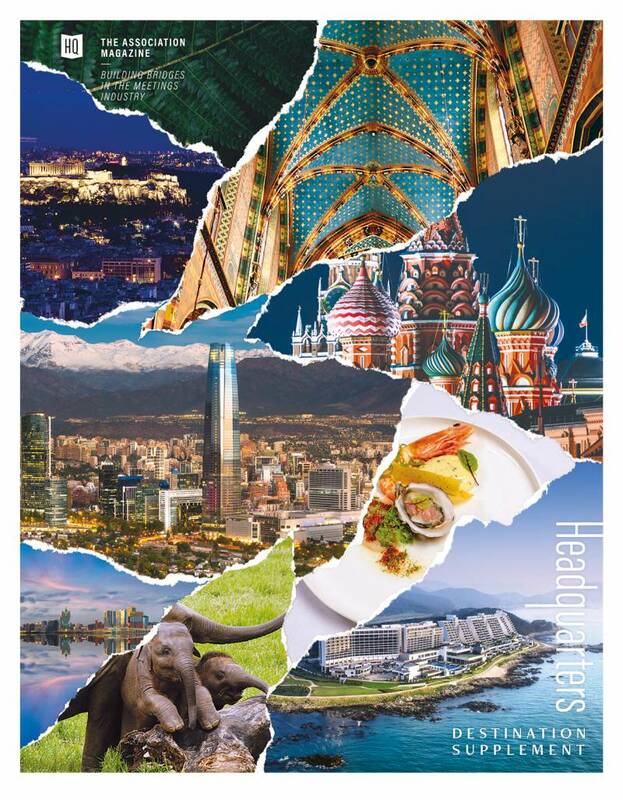 Would you consider taking your next global event to Joburg? Let us know after you've read our interview with Rendani Khorommbi, Deputy Director of Johannesburg Tourism. Let's expand our creativity while we expand our horizons. *Please note this is a web version PDF with reduced quality, if you required a higher resolution PDF, do not hesitate to contact any member of the team. The HQ Team would like to thank everyone that made 2018 another wonderful year for our magazine. 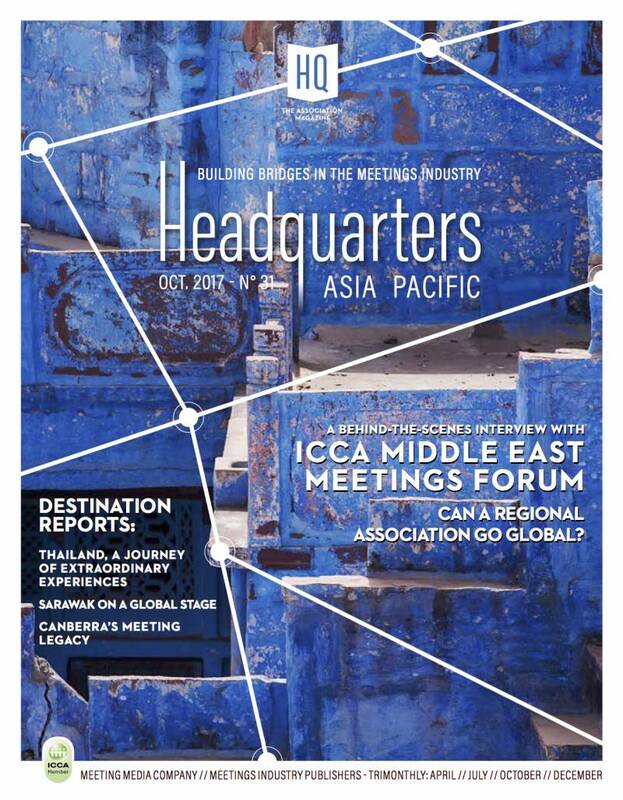 In this December Edition 2018, we gathered insightful articles from several industry experts on Event Design & Risk Management; Association profile of the World Customs Organisation; A new iteration of our recurrent section Think about it (by Anna Koj from European Affairs Recruitment Specialists & Jeffer London from the Centre for Creative Leadership) among other association content. We say goodbye to the outgoing ICCA President Nina Freysen-Pretorius and welcome the upcoming President, James Reed. 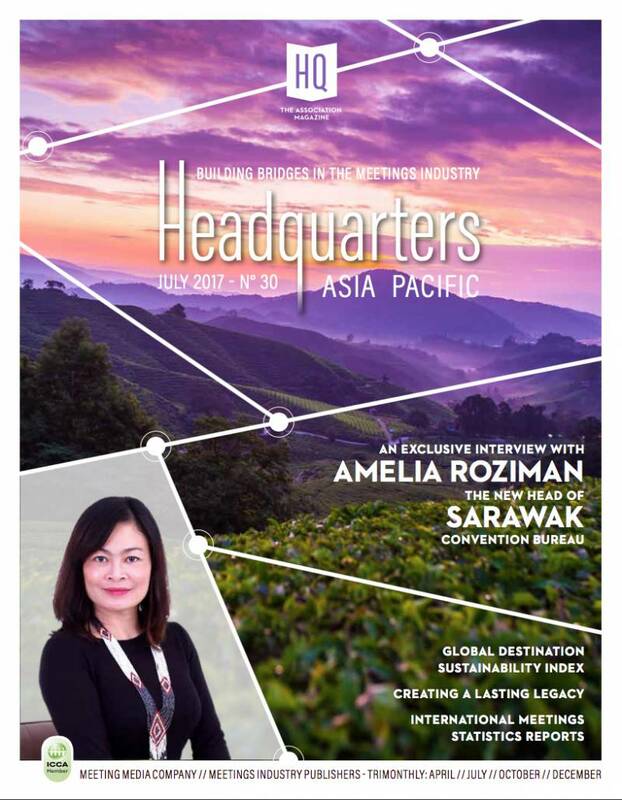 We share with our readers a conversation with ECM on events that went wrong and how destination overcame their failures, our exclusive reports on Travel Trade Athens, Italy at Hand - The Event, Be@Penang and Cvent Connect Europe 2018. Have a blissful holiday season and a fruitful 2019 ahead! Get your hard copy in Dubai and Barcelona! Back to the stress of the office after some relaxing summer holidays? 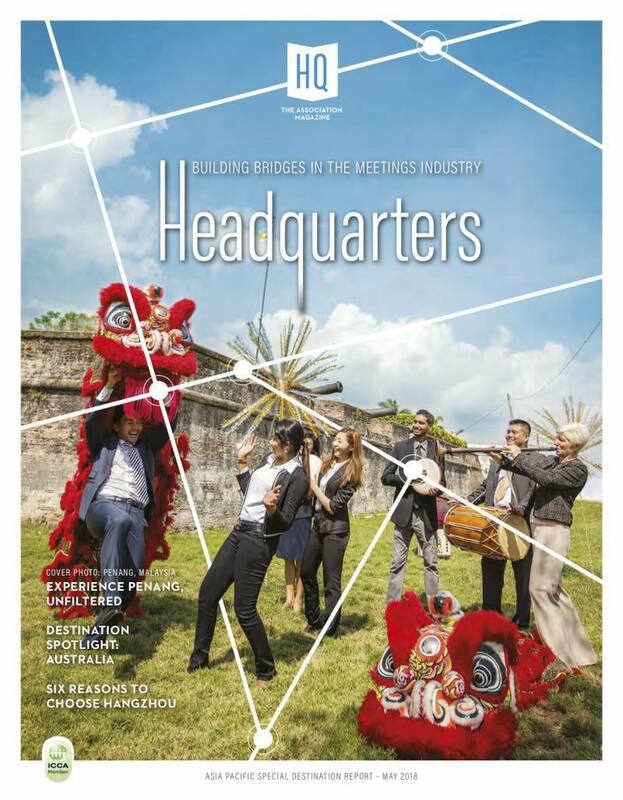 Headquarters will help you beat the holiday blues with this light and fresh destination report, showcasing some of the latest news in the meetings industry, from North and Latin America to Europe, Asia and the Pacific regions. Ready to embark? Here's the itinerary! 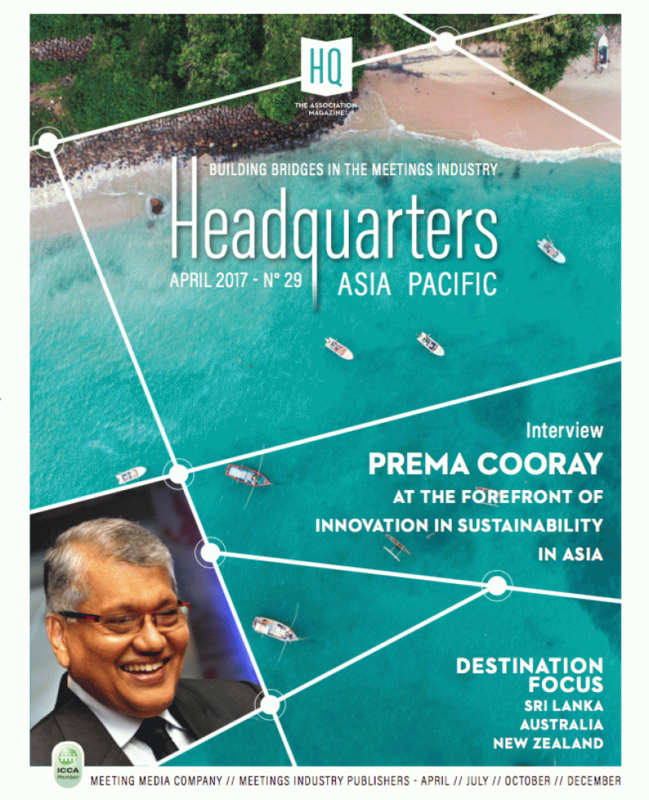 A wide variety of experts in the field have provided their insight through numerous interviews and discussions. Learn more about what association have done so far after the implementation of the EU General Data Protection Regulation (GDPR), an interview with FIDI (global alliance of professional international moving and relocation companies), the 6th edition of our recurrent section Think about it (by Anna Koj from European Affairs Recruitment Specialists & Jeffer London from the Center for Creative Leadership), the Digital transformation in the association industry, an update on Congress Planning And Executive Strategy and much much more! 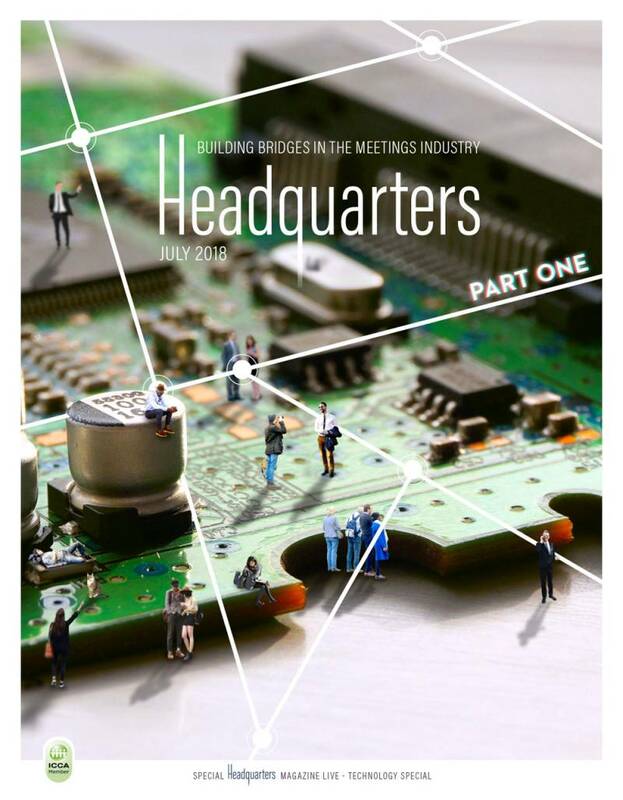 We hope you enjoyed reading the first part of our July edition on Technology, we invite you to join us on Part 2 as we navigate through the forefront of technology in the associations world and meetings industry. Are you inspired to take a step towards digitisation? 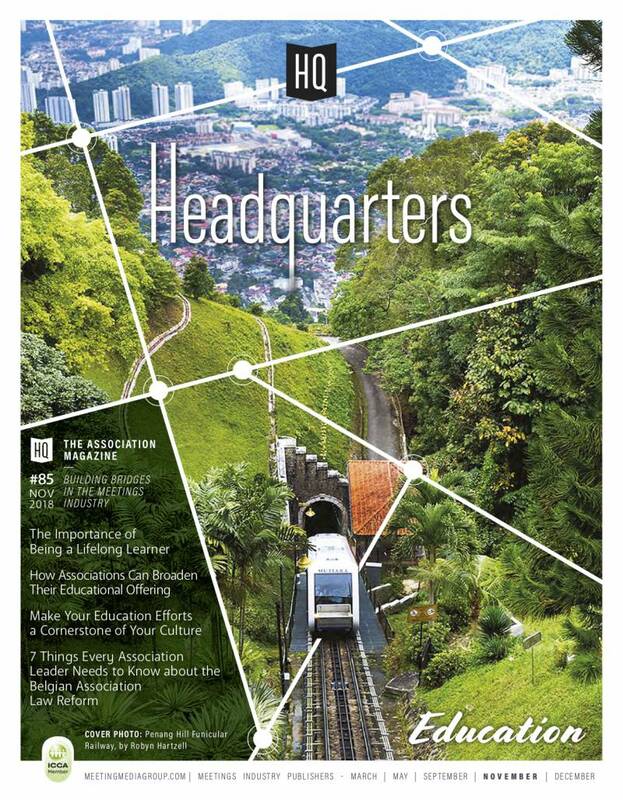 Follow us on social media and keep a look out for HQ#84, our September print edition is bundled with an exciting destinations supplement! 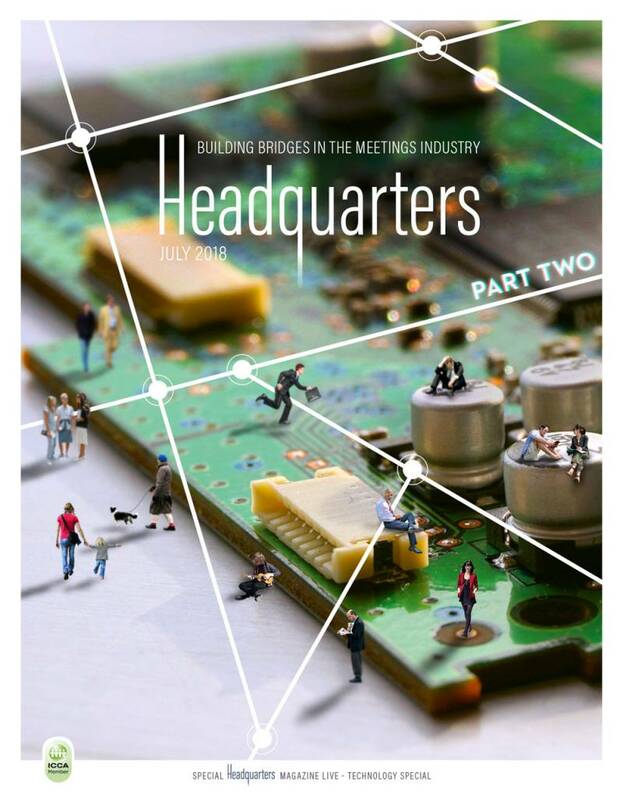 This July edition of Headquarters comes in two digital servings! 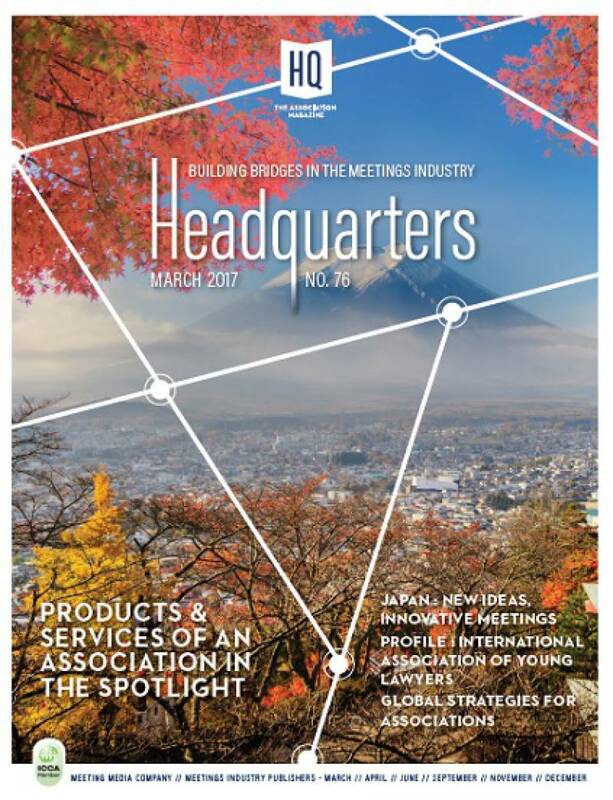 Enjoy browsing through the first part of our coverage on technology trends in the meetings industry, on your handy digital devices. Keep a look-out for part 2, which will be available at the end of the month! 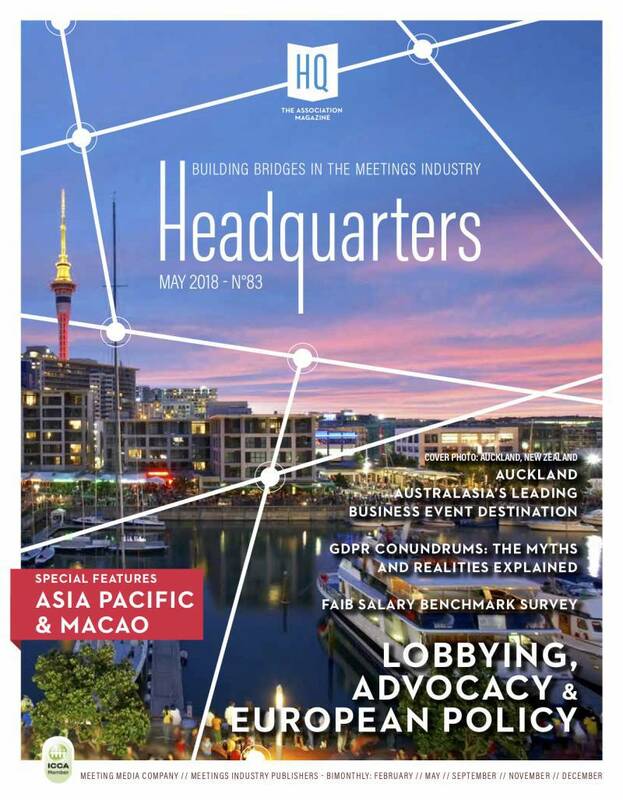 Last February, on the occasion of AIME 2018, the Headquarters Magazine team travelled Down Under and had the opportunity to meet and network with many Asia Pacific destinations, venues and important players in the meetings industry. Our experts have provided their insight through numerous interviews and discussions: what are good leaders made of? What makes a good leader? 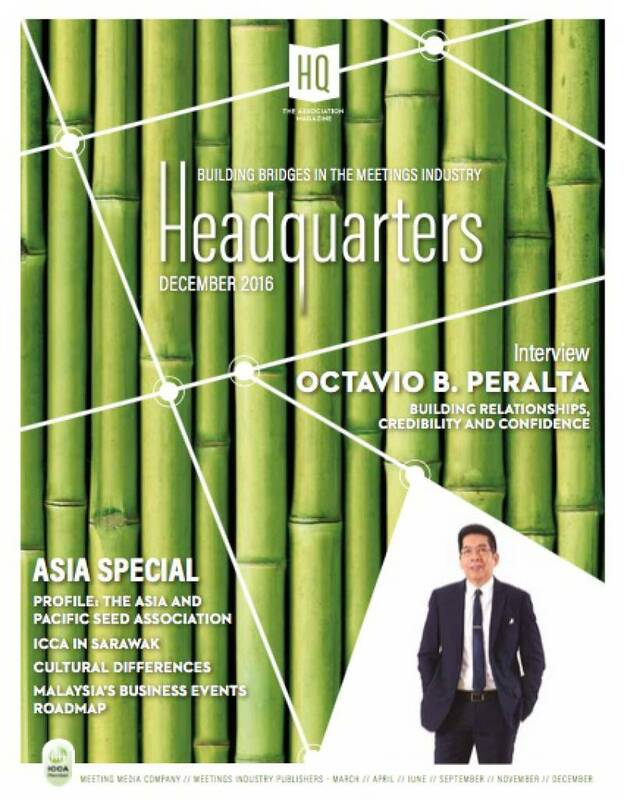 Headquarters & Headquarters Asia Pacific Magazines go more global than ever and our team would like to thank everyone that made it possible. 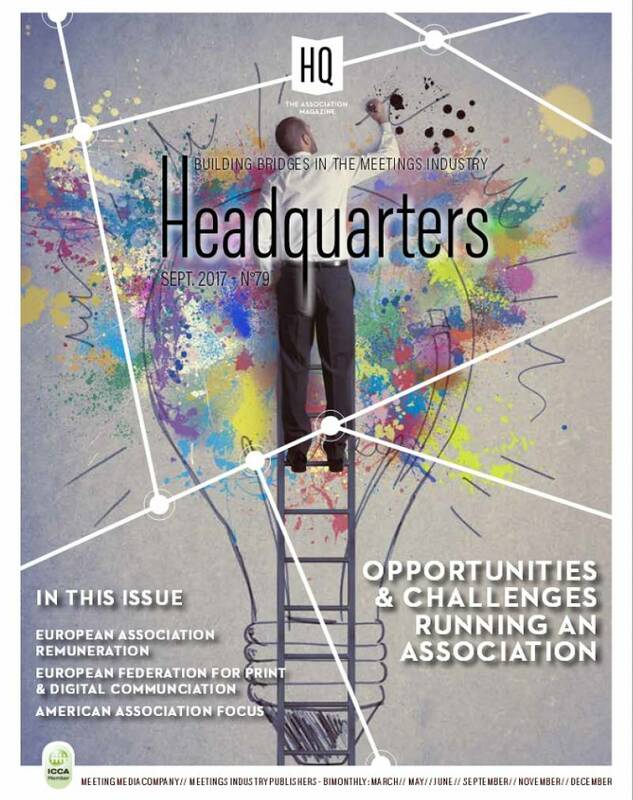 In this December Edition 2017, we tell you more about Competition and coopetition among associations, cultural differences in international associations, culture collision or culture cohesion, the Solvay Executive Master in International Association Management, the PCMA’s development in the European Market, the 2nd edition of our new recurrent section Think about it (by Anna Koj from European Affairs Recruitment Specialists & Jeffer London from the Center for Creative Leadership), the building of the Association Community in China, the Association of Australian Convention Bureaux, the 56th ICCA Congress… From South to North, from West to East, let us take you to a world full of meetings. Our destination report on Mexico is available on paper. 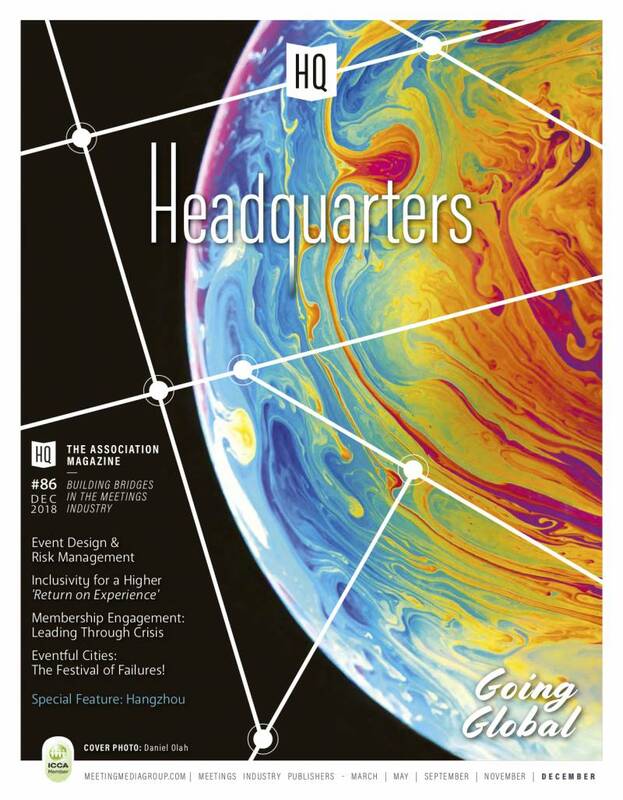 In this IMEX America Edition 2017, Headquarters Magazine goes back to school: discover the challenges and opportunities running an association, the European Association Remuneration report, our American Association special report (an interview with the AMC Institute, Data Security with Community Brands and the International Coach Federation), a profile of the European Federation for Print & Digital Communication (Intergraf), How to tackle challenges in a fast-changing environment, the Association Insights from Mark Levin, the 30th anniversary of ibtm World in Barcelona and more, much more. 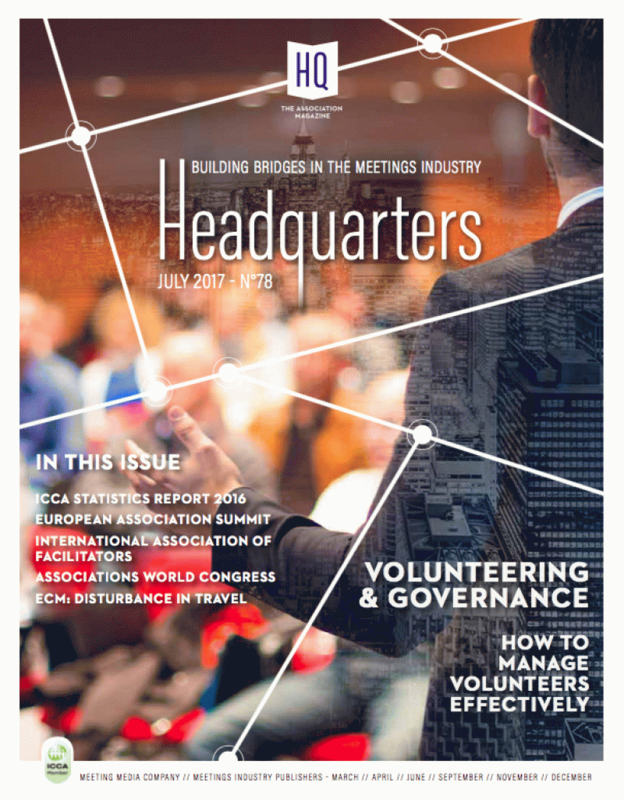 In our June edition 2017: Headquarters focus on Volunteering and Governance, how to manage volunteers effectively, the vision of associations, the Association Insights from Mark Levin: making the most of your most valuable resources, a profile of the International Association of Facilitators, the ICCA's rankings 2016, the Associations World Congress, the European Association Summit, Destination Marketing and more, much more. 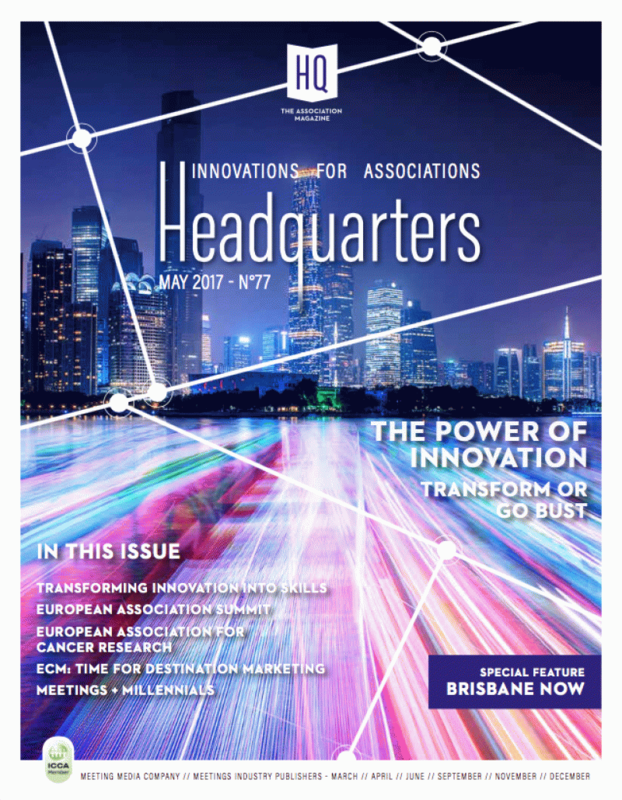 In this IMEX Edition 2017: Headquarters Magazine Live, the power of INNOVATION for associations, how to transform innovations into skills, a profile of the European Association for Cancer Research, Destination Marketing, the Association Insights from Mark Levin, Millennials in the meeting industry, a in-depth report on Brisbane NOW and more, much more. 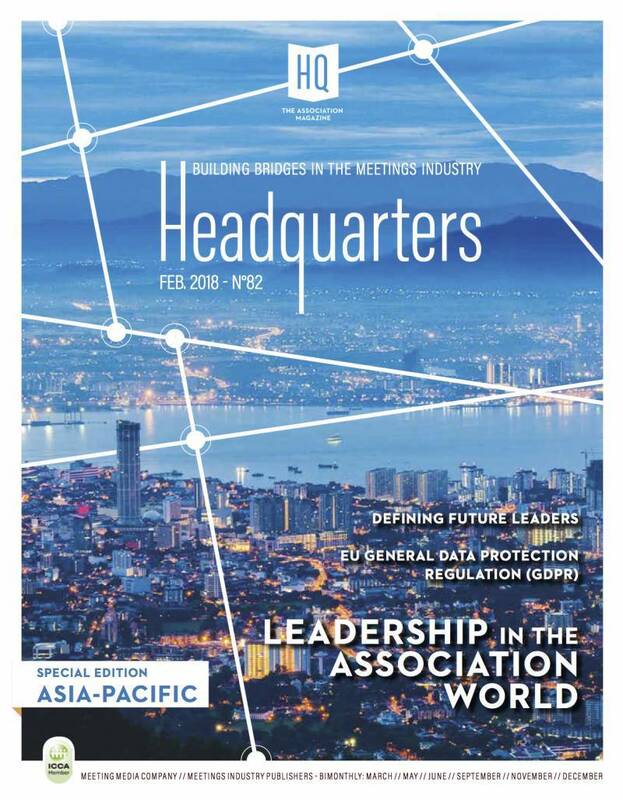 In this issue: an extensive feature on products and services of associations, global strategies for associations, the profile of the International Association of Young Lawyers (AIJA), the first edition of the European Association Awards, the Association Insights from Mark Levin, the latest news of European Cities Marketing, the BestCities Global Forum in Dubai, a detailed report on Japan and new ideas and more, much more. Do not miss our NEW team! 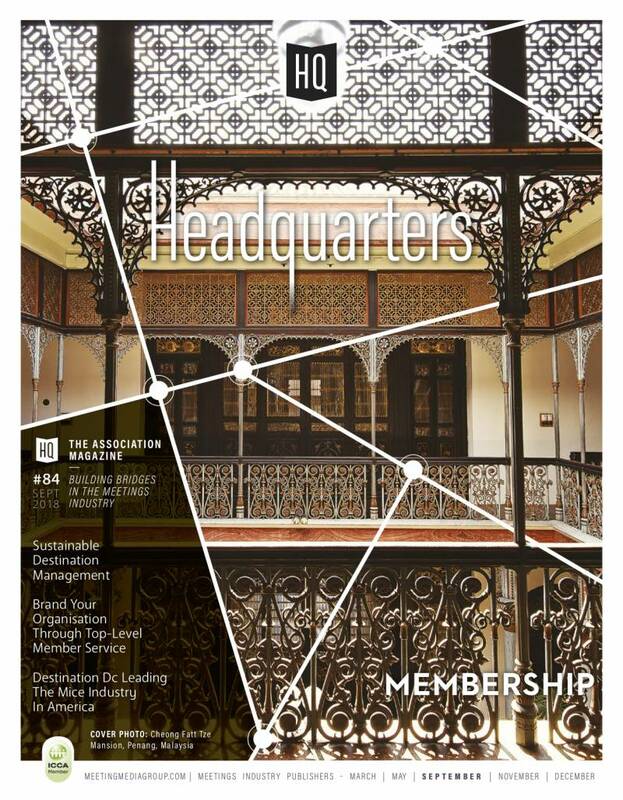 The latest issue of Headquarters, which welcomes for once its sister magazine HQ Asia-Pacific. 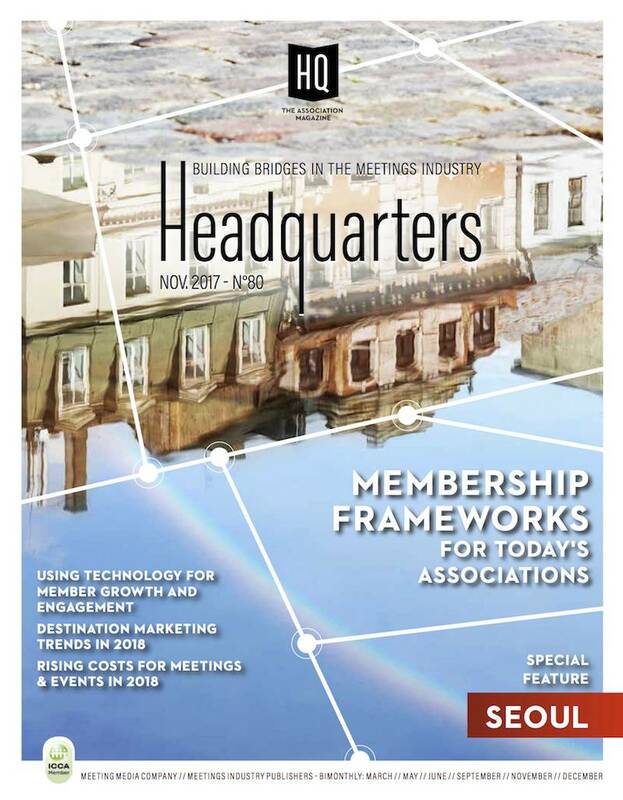 Read all about the latest news in the meetings industry, ESAE's thoughts on how to curate members' content, a special interview with Octavio B. Peralta and more.